In order to make a ROM dumper for the Sega Megadrive I had to know what was inside some of the carts so I knew just what I was going to have to deal with. Here is what I found. For Christmas Santa was kind enough to bring me a great new toy known as the Arduino to play with. If you haven’t heard of the Arduino you can check it out at http://arduino.cc/. Basically it is a little programmable board that can use a variety of sensors and components to interact with its environment. It is also, I’m led to believe, a good way to get an understanding of electrical engineering, circuits and the like which is something I’ve wanted to know more about for a while now. 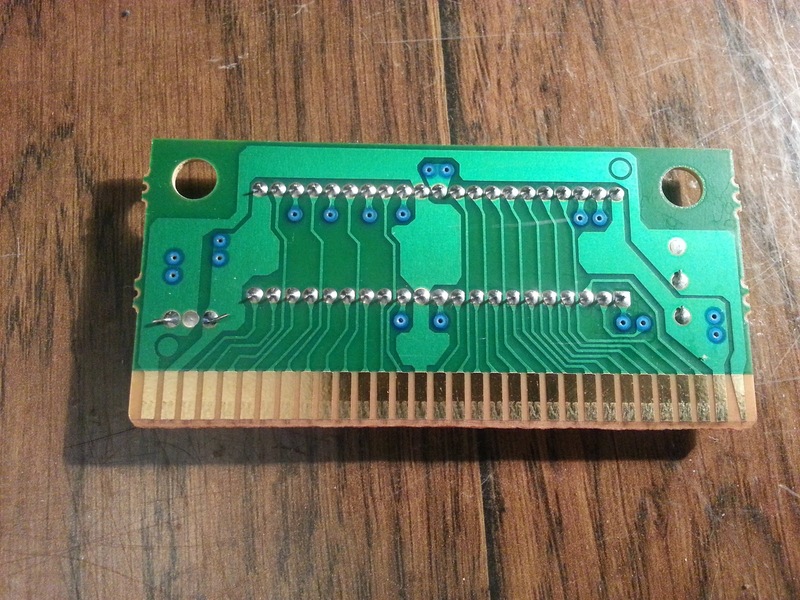 One of the very cool projects with the Arduino (and a large part of the inspiration for me getting one) is the Gameboy Cart Dumper by Alex of InsideGadgets. 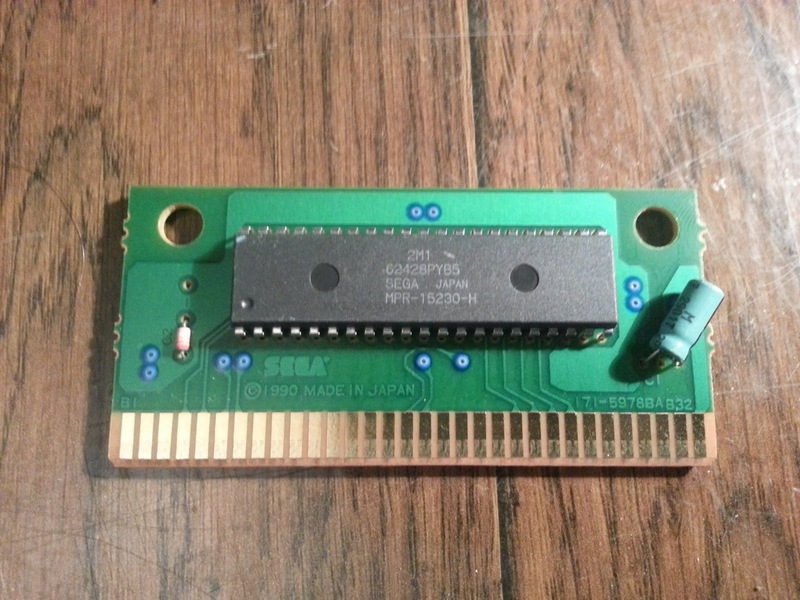 In his project he creates a system that is able to read the data stored on the ROM of the Gameboy cart to his computer using the Arduino. He is also able to read and write to the SRAM using exactly the same set up. 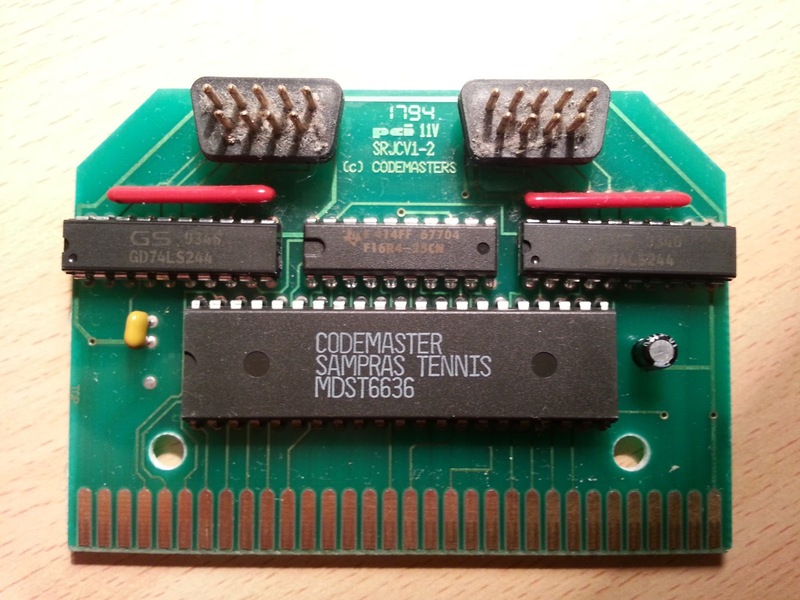 Basically he has created his own ROM dumper, very cool! 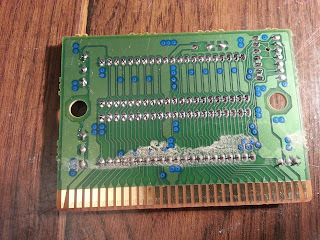 As you may know I’m a lot more interested in the Sega Megadrive than the Gameboy so would like to perform the same task on Megadrive cartridges. 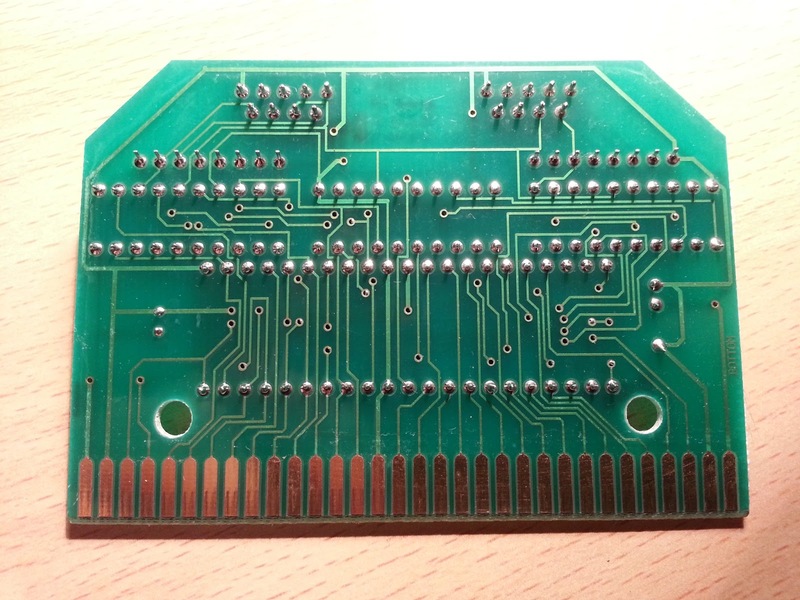 You can read more about that project (and Alex's) on the Arduino ROM Dumper project page. In order to make this possible it is important to know what is inside the carts so I know just what I am going to have to deal with. 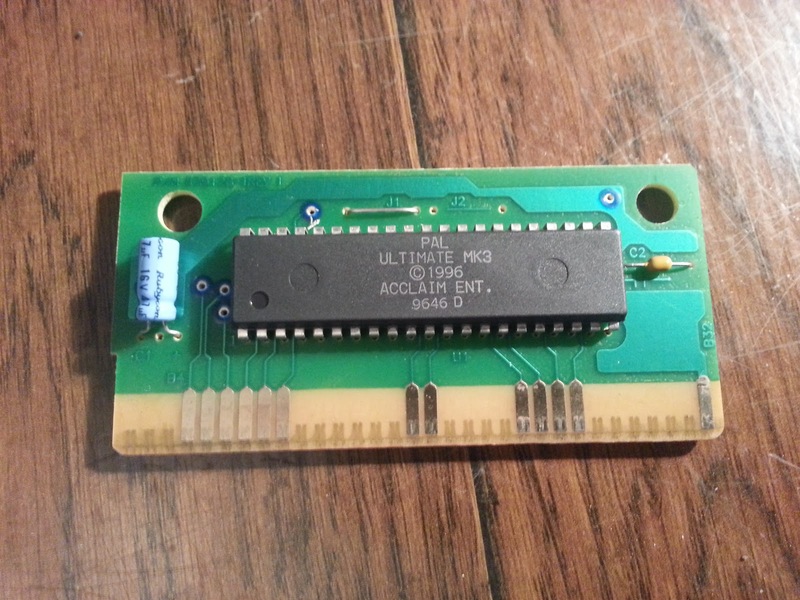 So here are the insides of several Megadrive carts, hopefully it will be of some interest or use to you as well. Only 1 chip, the ROM and a couple of components, a resistor on the left and a capacitor on the right I think. This would be a 'typical' or basic cartridge. The game uses passwords for saving so doesn't need any SRAM making the insides very straight forward. 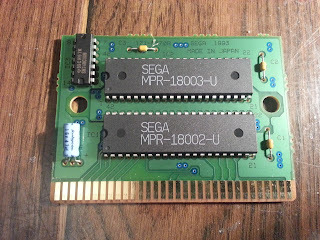 I thought it was a large ROM but it doesn’t look like it is as it’s the same as Mega-Lo-Mania only the components are reversed. This game does use SRAM for saving and as you can see there is a lot more going on inside. 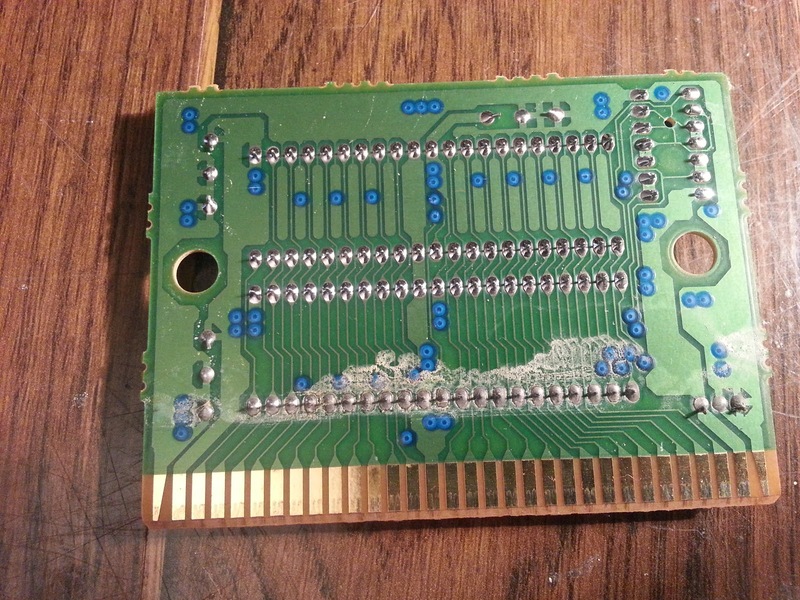 The big chip at the bottom is the ROM we are used to seeing with its capacitor and resistor. 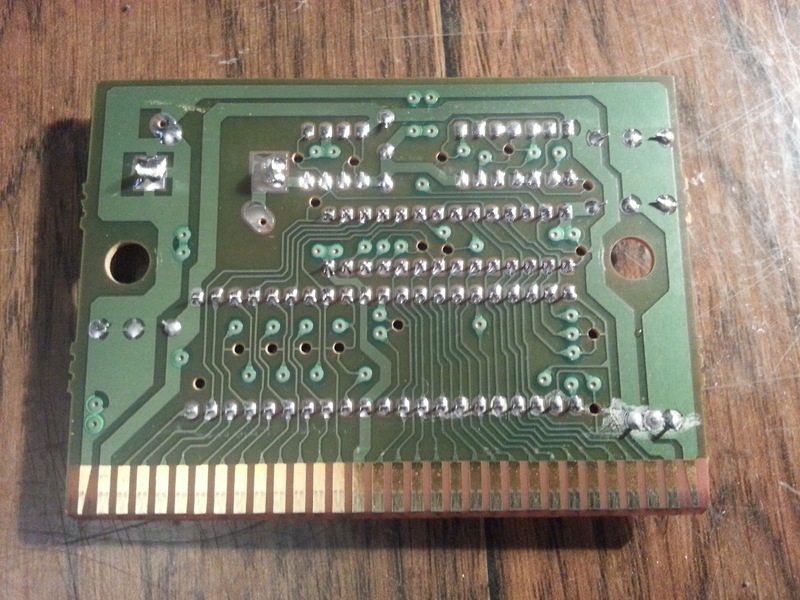 Above it are all the components involved in saving, namely a battery on the right with a small chip next to it. This chip is the controller which decides if we should use the battery or not depending on the voltage across the cart. Next to that, also at the top, is a NAND gate. I'm not sure what purpose this has at the moment but I think it is for selecting between the other chips available. The long one below that the SRAM chip which is where all our save data is stored. 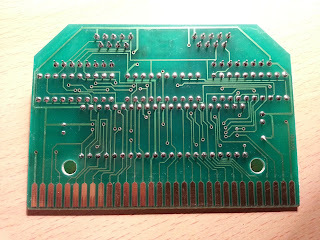 I got most this info from Googling the chip numbers which turned up the following pages from alldatasheet.com: (Same order as above) BA6162, SN74HC00N, GM76C88AL. This is a cart that has 6 games on the one cartridge. 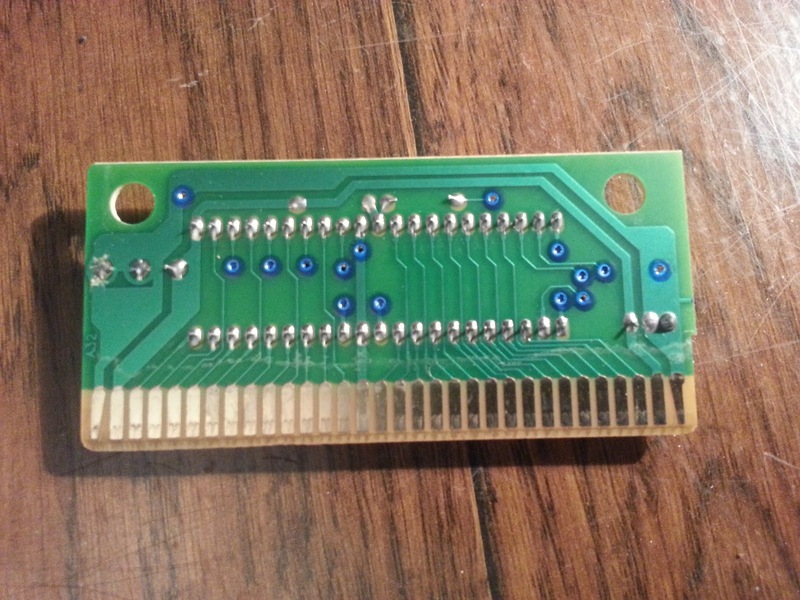 We can see they are spread across 2 ROMS, we still have a capacitor and resistors dotted around the place and also another chip. 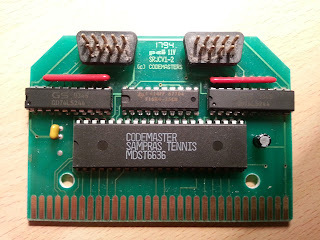 This is the same chip as in the Shining Force 2 cart above, the SN74HC00N NAND gate, making me more certain that it is for choosing between chips. This is a special case and I thought was worth extra mention even though I couldn't get the cart open! 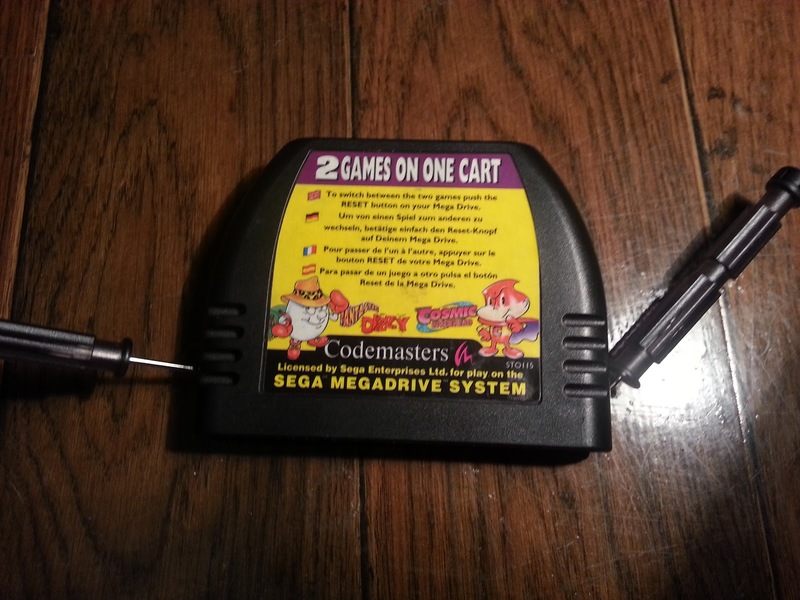 These two games come on the same cart but it is one of those funny J-Carts developed by Codmaster and they don't open the same as standard carts. 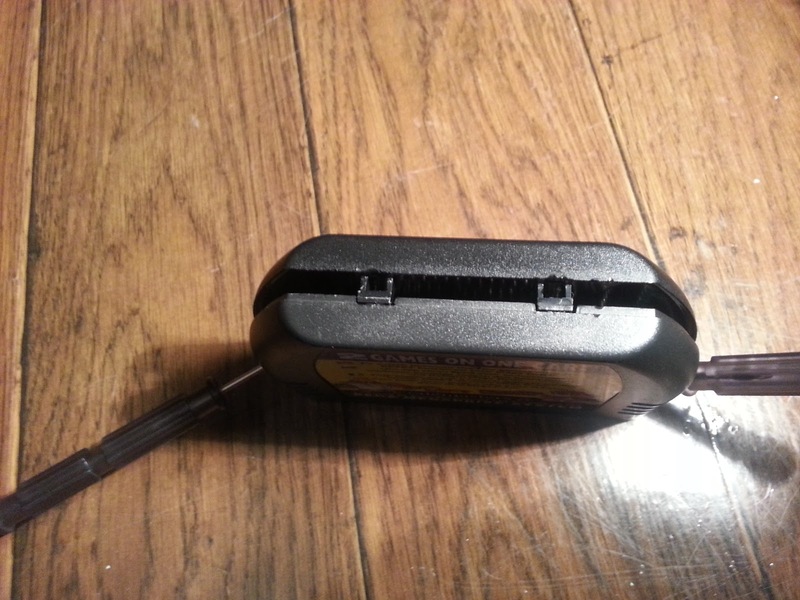 At first I thought it was just the 2 clasps on the top that needed pushed in to open it as there aren't any screws visible on the case. 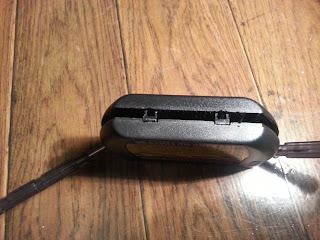 As you can see below, it still isn't open despite me sliding my 2 screws drivers all the way down the side. There are 2 screws on the front of the cart as well under the sticker! Well played Codemaster, well played! 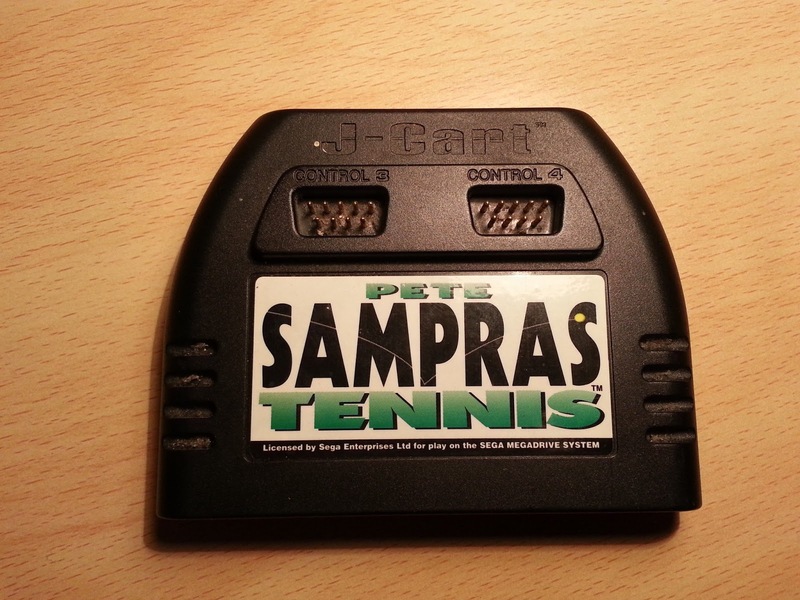 As it stands I don't want to rip the label of my Dizzy/Cosmic game so I've bought a cheap copy of Pete Sampras Tennis which is also a J-cart just for opening up. 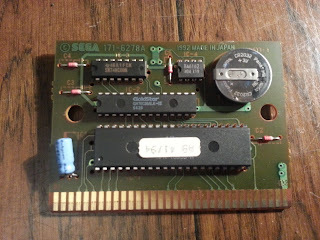 It isn't a dual game cart but it does have 2 control ports built into the cart so should be interesting. I'll post up what it looks like when it arrives. So here is Pete Sampras Tennis, I've no idea if it is a good game or not because that's not what we are interested in so I haven't even checked if it's working! 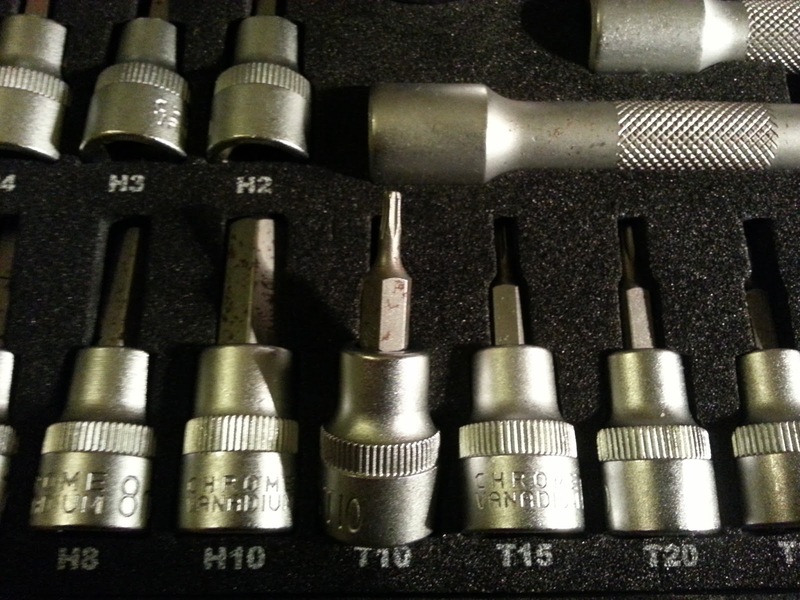 To open it up I used a small star key (it's like an allen key or a hex key but star shaped) which is marked T10. I really don't know much about this tool but it was part of my ratchet set and I'm glad to have finally used it! 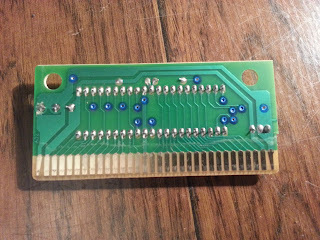 The control ports, some red things which I'm not sure what they are, some chips (left and right are SN74LS244 and in the middle is... I have no idea, can't get a good hit from Google) and then the ROM. When I bought my Flash cart for the Sega I had to open one of the cases to replace the PCB (the chip boards we've been looking at) with the one for the Flash board. 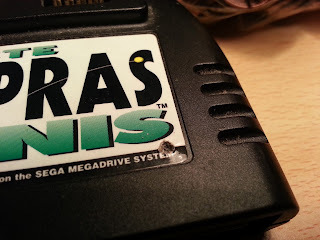 Unfortunately the Megadrive carts have some funny shaped security screws which need a special bit to open. Being the ever resourceful person I decided to try the ‘melted pen’ method where you get a cheap, plastic pen and melt the end into the screw then hold it till it dries. It is meant to give you a plastic screwdriver that can open any of the Megadrive cases. All it gave me is a broken pen. 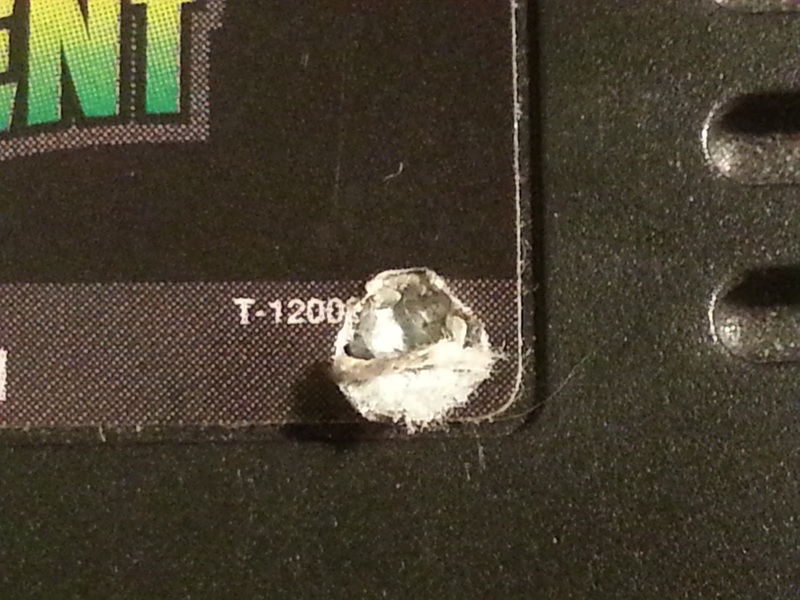 I then tried taking a hand drill to one of the carts. This worked but was a lot like using a bazooka to kill fly and unsurprisingly I could no longer claim the cart was in ‘mint condition’. They are really strong, fit in my Black and Decker screw driver (I think it’s a standard size) and do the job perfectly. 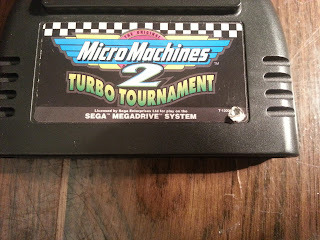 For less than a tenner for both the Nintendo and the Sega bit plus 5 batteries to replace the ones in your carts that use SRAM they are well worth investing in. That’s it for now. 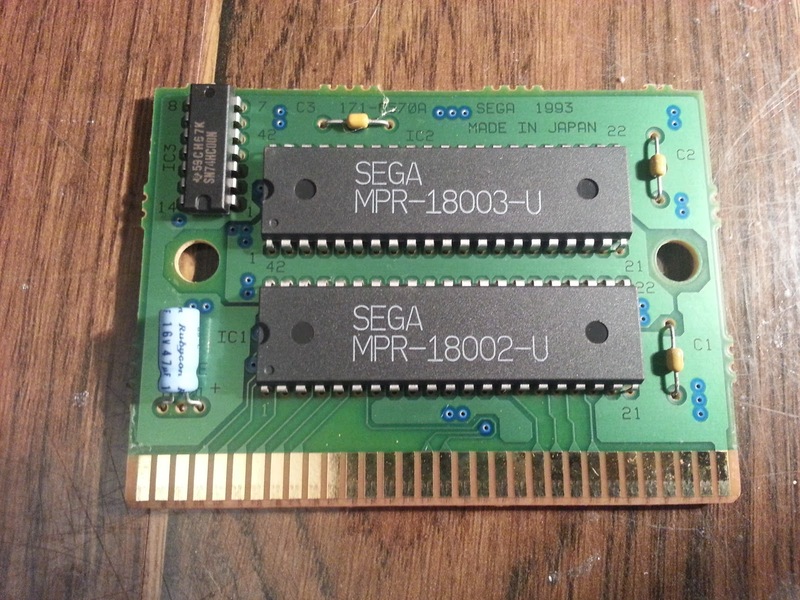 I’ll have more information about ROM dumping via the Arduino as and when I work it out and might update this entry with more Megadrive carts insides as I discover them. If you want to know more about this project comment below or email me using the details in the contact page.